Born in Lawrence, Massachusetts, Merrill started to play bass at age 14 and only played bass. He traded in his train set for a bass, and used his dad’s amp.He has played in a country, blues, reggae, prog, and ’50s/’60s cover band. Before joining Godsmack, Merrill was a self-employed carpenter which is a trade he shared with Tony Rombola. Merrill and his wife Heather have two daughters, Niannah and Nakiah. Merrill currently lives in Auburn, New Hampshire. Although he is a left-handed musician, Merrill actually writes right-handed due to a birth defect that makes him unable to move the middle finger of his left hand. In his off-time, Merrill has a farm which he puts many hours into; he also enjoys some hockey and the typical family stuff. He has a dirtbike track as well. However, he stated that his family is still the number one priority. 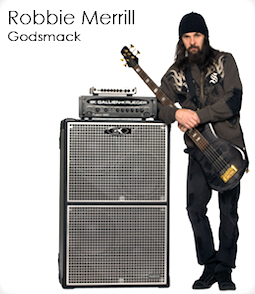 Robbie was one of the founding members of Godsmack. Merrill met Sully Erna through Sully’s sister, and the two became roommates and friends.In February 1995, Erna decided to start a new band as the lead singer after playing the drums for more than 23 years. His new band, The Scam, formed with Erna on vocals, Robbie Merrill on bass, local guitarist and friend Lee Richards on guitar, and Tommy Stewart on drums quickly changed its name to Godsmack, after recording one demo. Robbie is also a founding member of the band Another Animal along with Shannon Larkin, Tony Rombola, Lee Richards, and Whitfield Crane. Excluding Whit Crane all have been members of Godsmack presently or in the past. 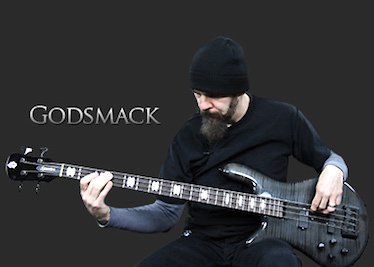 Merrill was featured in the IMV “Behind The Player” DVD series, in his DVD he gives an intimate behind-the scenes look at his life as a musician, he then gives in-depth lessons for how to play Speak and Voodoo by Godsmack on bass and jams the tracks with Godsmack drummer Shannon Larkin. He’s also a featured artist on the bass guitar instructional website Jamplay.com. Godsmack is an American rock band from Lawrence, Massachusetts, formed in 1995. The band is composed of founder, frontman and songwriter Sully Erna, guitarist Tony Rombola, bassist Robbie Merrill, and drummer Shannon Larkin. Since its formation, Godsmack has released six studio albums, one EP (The Other Side), four DVDs, one compilation album (Good Times, Bad Times… Ten Years of Godsmack), and one live album (Live and Inspired). Since its inception, Godsmack has toured on Ozzfest on more than one occasion, and has toured with many other large tours and festivals, including supporting its albums with its own arena tours. Godsmack has sold over 20 million records in just over a decade. 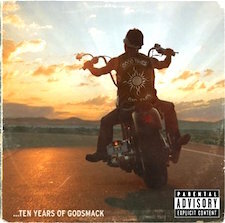 In honor of the band’s success and the release of their sixth studio album, 1000hp, Mayor Marty Walsh has declared August 6 as “Godsmack Day” in the city of Boston. 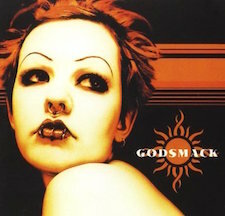 Godsmack is the eponymous debut album by the band Godsmack. The album was initially paid for by the band and released as All Wound Up, before the band was signed to Universal Records and Republic Records. 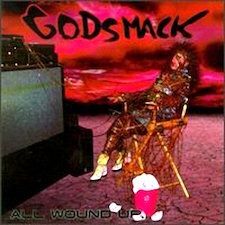 All Wound Up is the demo album by alternative metal band Godsmack. It was released independently by EK Records on July 28, 1997. 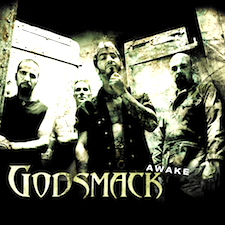 Awake is the second studio album by the rock band Godsmack, released on October 31, 2000. It features the song “Goin’ Down”, which first appeared on the band’s first studio recording All Wound Up. 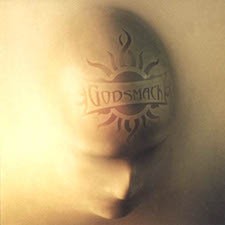 Faceless is the third studio album by the band Godsmack. The album introduced drummer Shannon Larkin, former drummer for Ugly Kid Joe. The album was released on April 8, 2003. 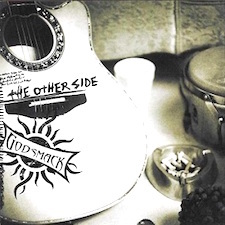 The Other Side is an acoustic EP by the band Godsmack, released on March 16, 2004. It includes several previously released songs re-recorded as acoustic versions, as well as three new acoustic tracks. 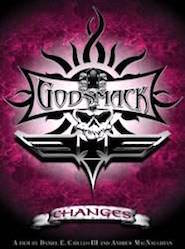 Changes is a documentary and live DVD released in September 2004 by the hard rock band Godsmack. The DVD was recorded in early 2004. 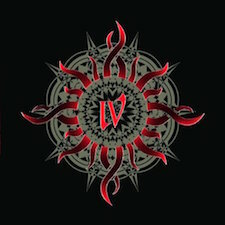 IV is the fourth studio album by the band Godsmack, released on April 25, 2006. This is Godsmack’s only studio album produced by Andy Johns. 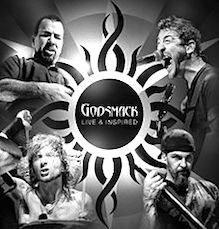 Live & Inspired is the first live album to be released by the Heavy metal band Godsmack. Released on May 15, 2012, the album includes a bonus disc of four cover version recordings. 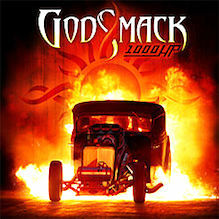 1000hp, stylized as 1000HP, is the sixth studio album by the American rock/metal band Godsmack. The album is a follow up to the band’s 2010 gold-selling album The Oracle and was released on August 5, 2014.